Our 100% Whey Isolate Protein helps prevent soreness and build muscle up 20% faster than not using protein. Zero fat and zero sugar. 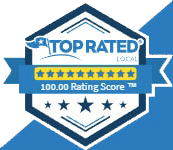 Engineered to taste amazing, we offer a 100% guarantee that you will like the taste of it or your money back! 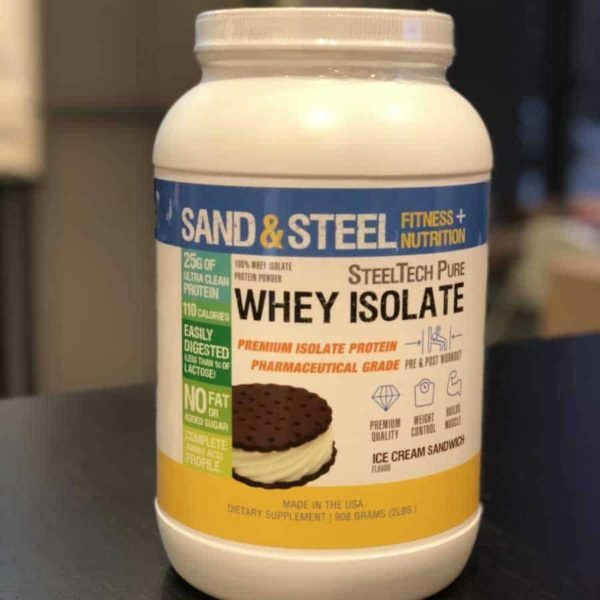 Sand & Steel Whey proteins do not contain any added sugar, corn syrup, or transfats. Trey & Migdaris bought this item recently. Better Nutrition, Better Results, Get Steel Strong™! Summary: SteelTech Pure 100% Isolate Whey is optimized as a maximum performance/ultra clean product. As a 100% pure whey isolate, SteelTech is optimized to be used immediately before and after workouts. 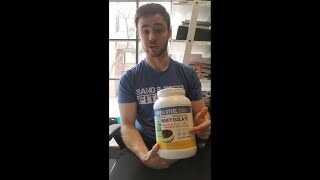 Sand & Steel Whey proteins do not contain any added sugar, corn syrup, or transfats. Amazing Taste and “Dissolvability” SteelTech was specifically developed to taste better than other commercial brands of protein powders you may have tried. Richer chocolate, purer vanilla, etc. All without sugar or fats. Plus it dissolves easily and instantly in your choice of water, almond milk, dairy milk, or flax milk. Recommended Use: Add 1-2 scoops of powder to 6-8 ounces of almond or flax milk and mix thoroughly in a shaker bottle. SteelTech Pure 100% Isolate Whey Protein Powder tastes best when blended in a high-speed blender with almond milk, but flax milk or water may be used. Adjust the amount of liquid to achieve desired consistency. SteelTech can be added to many foods including yogurt, oatmeal, and smoothies. It also can be to bake brownies and protein bars SteelTech is designed to be used before and/or after your workout, but consult your nutritionist for specific nutritional recommendations. Product Description: SteelTech Pure 100% Isolate Whey Protein Powder is the most effective, ultra clean protein product on the market. It was specifically engineered to provide the highest level of bioabsorbable protein per gram. 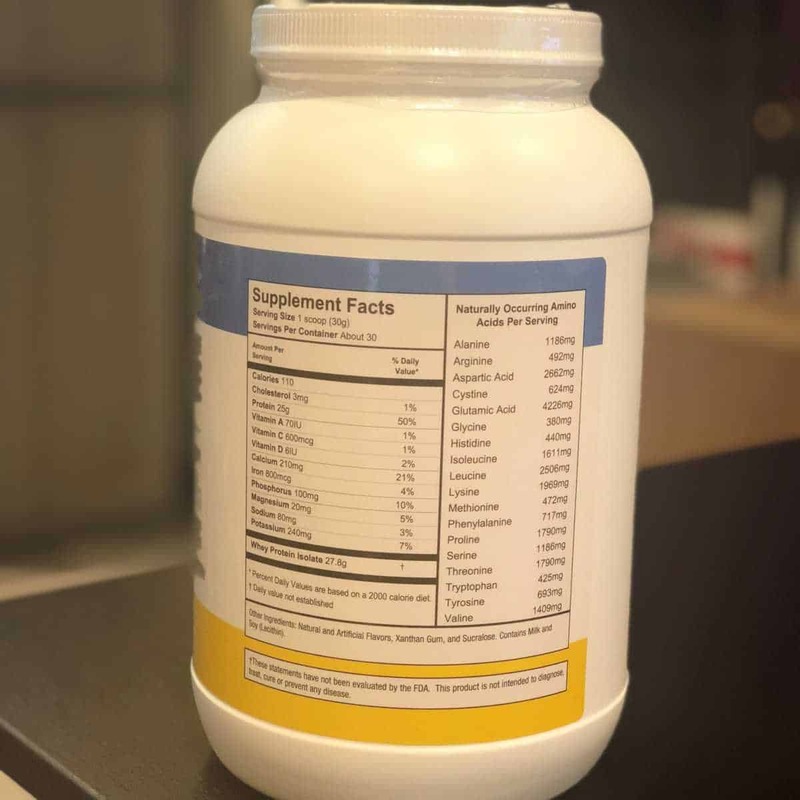 Packing a complete amino acid profile, SteelTech Pure 100% Isolate Whey Protein Powder is easily digested, containing less than 1 gram of lactose per serving, no fat, and zero added sugars! 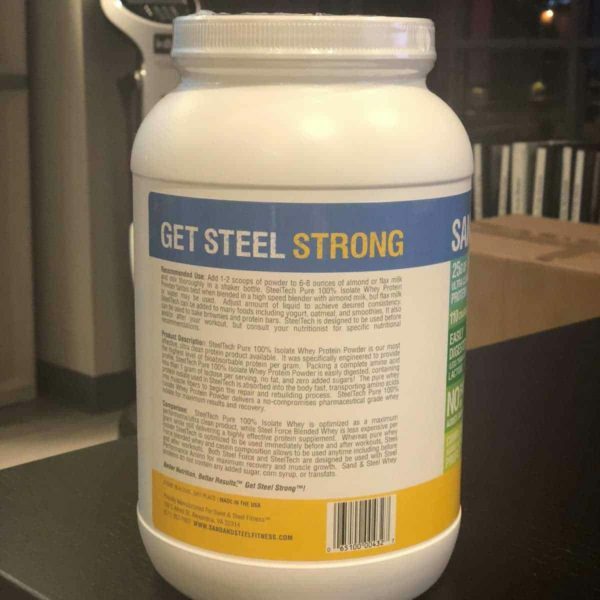 The pure whey protein isolate used in SteelTech is absorbed into the body fast, transporting amino acids into muscle fibers to begin the repair and rebuilding process. SteelTech Pure 100% Isolate Whey Protein Powder delivers a no-compromises pharmaceutical grade whey isolate for maximum results and recovery. Money Back Guarantee: You may return the unused portion if you are unhappy with our protein for any reason.